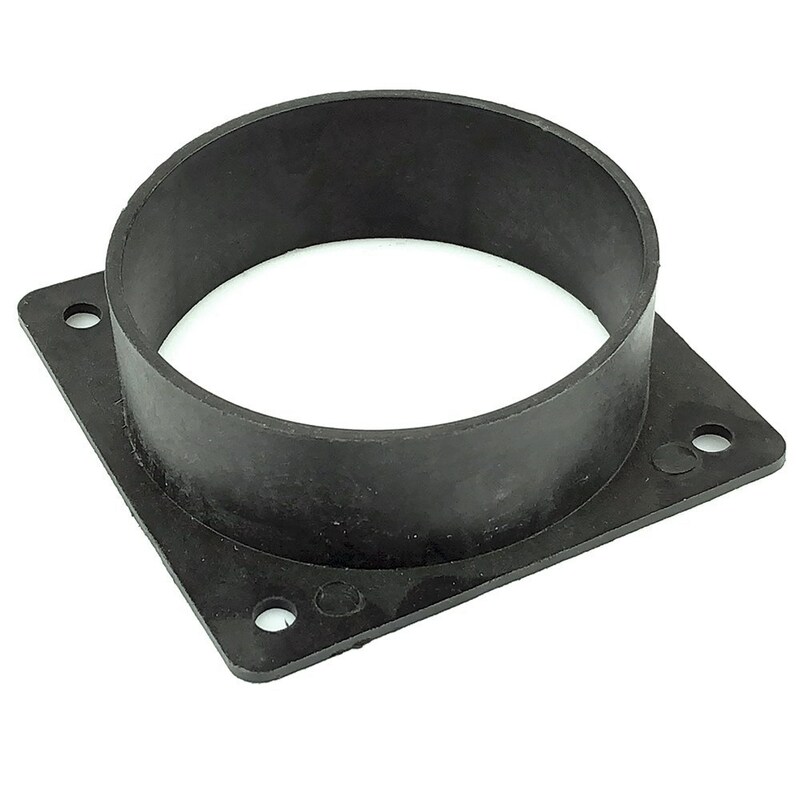 Moulded ABS flange for connecting duct hose to bulkheads, air boxes, filters, cooling shrouds, air dams etc. With 4 mounting holes (6mm). Duct hose can be fitted to inside or outside of spigot by bonding or ties. Will clamp up to 19mm hose.